May is Skin Cancer Awareness Month. With 5.4 million cases in more than 3.3 million people diagnosed annually, skin cancer is the most common form of cancer in at the moment. Fortunately, skin cancer is also one of the most preventable forms of cancer and highly treatable when detected early. At Strip we swear by Heliocare products. 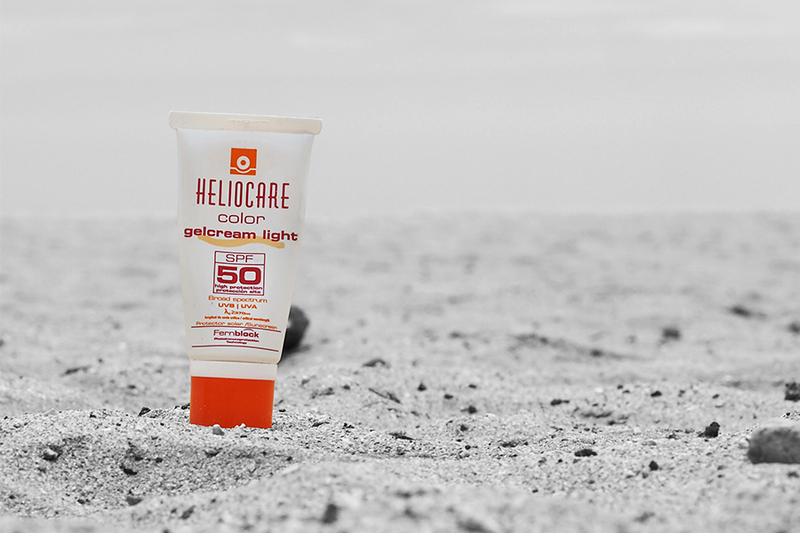 We took advantage of wonderful Bank Holiday weather and went for a short break to the Canary Islands to test their Heliocare Color GelCream SPF50. Heliocare products all contain photobiological protectants, (Fernblock) a natural fern extract which is unique to Heliocare. The ingredients have been formulated in optimum combinations to provide enhanced skin protection all year round. This makes them the perfect addition to any laser treatment. Whether you are a glamper, adventure seeker or the luxury traveler this is the perfect tinted foundation if you want to look good throughout a day. It easy to apply, smells good, doesn’t stain and it protects! Nothing protects your skin like Heliocare 360˚. Its revolutionary formulation not only shields the skin’s surface from damage but also defends the skin from within with the unique and powerful Fernblock FC. This unrivaled combination means your skin will not only have the maximum protection against UVA, UVB, visible light, and infrared-A, but also the free radicals caused by other environmental challenges too. Fernblock FC is what makes Heliocare 360˚ so unique. It’s a supercharged, fern-derived anti-oxidant that fights and neutralizes harmful free radicals in your skin, defending your key skin cells like collagen and elastin. It’s the result of years of research and is exclusive to Heliocare 360˚ products. This unrivaled anti-oxidant activity is boosted with Vitamins C and E, while the addition of DNA repair enzymes minimizes and repair DNA damage within skin cells – yet another cause of premature skin aging. With four elegant formulations, there’s a Heliocare 360˚ for every skin type. Each one will leave your skin feeling beautiful today, and give you the ultimate daily defense you need for tomorrow; keeping your skin radiant, healthy and beautiful. Contact us directly by filling out the form below. We aim to provide you a response within 48 hours.